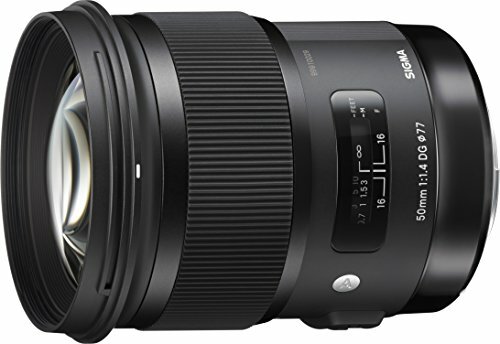 The Sigma 50mm F1.4 DG HSM Art is a pro-level lens for full-frame DSLRs and is ideal for many types of videography and photography; including portraits, landscapes, studio work and still-life. It boasts a Hyper Sonic Motor (HSM) which ensures quiet, smooth and accurate auto-focusing and this HSM is paired with Special Low Dispersion (SLD) glass and Super Multi-Layer coating, collectively making the 50mm f/1.4 a high-performance lens for the modern DSLR sensors. The EF 40mm F2.8 STM offers excellent image quality in compact, well-made package. For APS-C users, this lens is a great carry-everywhere complement to a zoom kit, and for full frame shooters, it’s an excellent general-purpose ‘normal’ lens. The STM motor means that autofocus is almost completely silent, but it’s not super-fast. This Canon EF 40mm f/2.8 STM lens gets 84% overall score and Gold Award from the experts at DPReview. 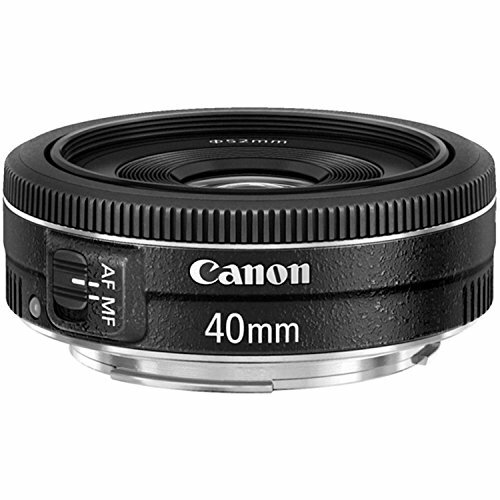 The Canon EF 50mm f/1.2L USM lens is one of the fastest autofocus lenses in its class, which makes it an essential tool for many professional and advanced photographers. The lens is suitable for any shooting situation, it has such a lens coating and construction type that are optimized to minimize the ghosting and flare that frequently occurs when lenses are used with digital cameras. Every aspect of this lens exudes professional quality from its wide 72mm filter diameter to its dust and moisture sealed construction. Also, it produces sharp images at all zoom ranges and shows great performance even in low light conditions. 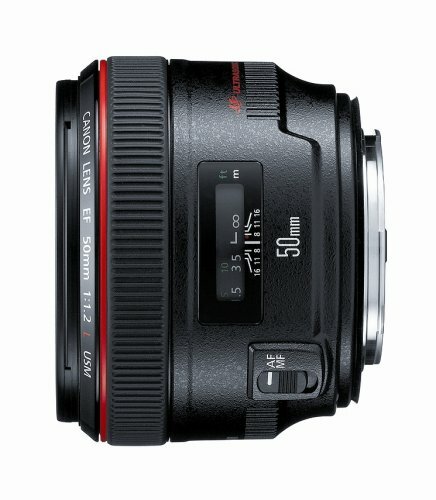 The Canon 50mm f/1.4 is an outstanding lens known for its delivery of a significantly better optical performance than all but the most extensive zooms, its compacted into a small, light and relatively inexpensive package.The Canon EF 50mm f/1.4 USM got an 87% overall score and Gold Award from the experts at DPReview. All in all, it’s a standard lens featuring superb quality and versatility. 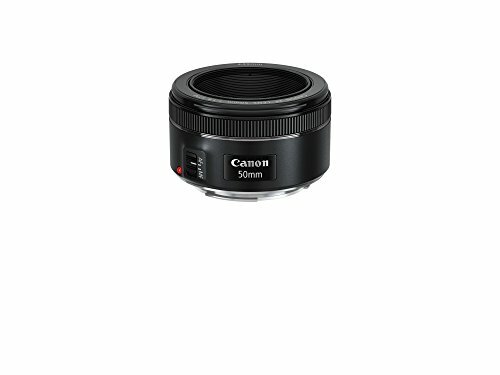 This great lens is compact and lightweight with a fixed focal length; the Canon EF 50mm f/1.8 STM lens is ideal for everyday photos and with a large f/1.8 aperture its perfect the perfect lens for capturing photos in low-light surroundings and a creative background blur (bokeh). 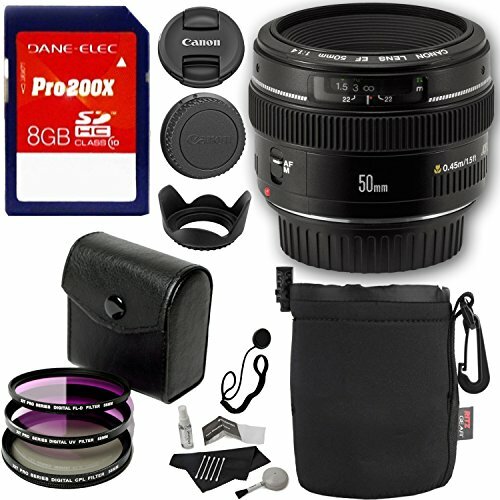 Additionally, it’s an excellent lens at a very low price.